No other national park offers such a vast amazing collection of landscapes as Yosemite National Park. With its gigantic glacier carved valleys, crystal clear rivers, huge open meadows, and towering peaks of the sierra crest, there is no shortage of beauty here to photograph. To order prints simply select your desired size, enter the IMG#, and complete your transaction through Paypal. 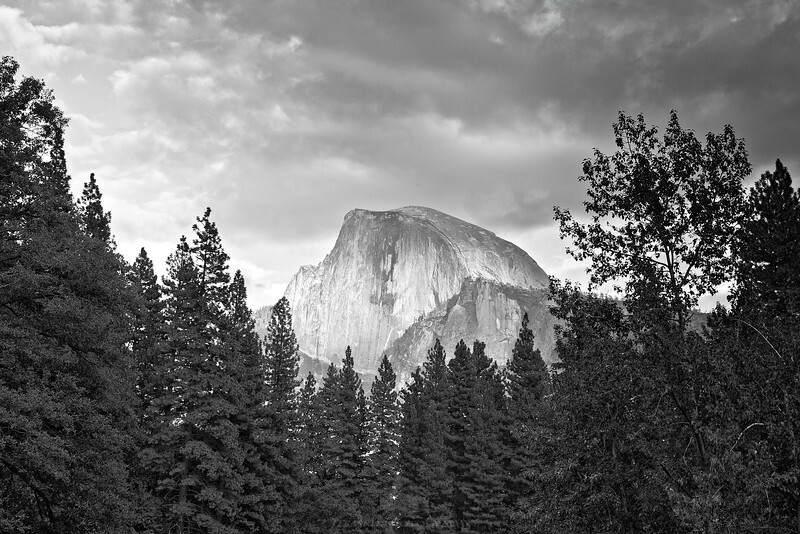 This black and white rendition of the famous Half Dome was captured on a cloudy autumn afternoon.